Today, I would like to talk about Habib Benglia, one of the pioneers of Black theater and cinema in France. Habib Benglia was an African artist born in Oran, Algeria, on 25 August 1895. He was originally from Mali, and lived in Timbuktu throughout his childhood. He then moved to France for studies. After high school, he wanted to become an agricultural engineer. However, one evening in 1913, at the Café Riche, while describing his love for theater and having fun with his friends reciting prose, he was noticed by Régine Flory who presented him to Cora Lapercie. That same year, she made him star at the Renaissance in Le Minaret of Jacques Richepin, then he went on to play in Aphrodite by Pierre Frondaie, and L’Homme riche of Jean-José Frappa and Dupuy-Mazuel. The first world war of 1914 started, and Benglia joined the French troops as many other skirmishers (tirailleurs). Demobilized just before the end of the war, he resumed theater with Firmin Gémier, in L’Oedipe Roi de Bouhélier. In 1923, he became the first black actor to star in the main role at the national French theater at the age of 27: it was in The Emperor Jones whom Gaston Baty put in scene at the Odéon. 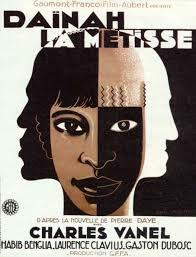 Benglia always dreamt of seeing Black theater unveiled in France, which would reveal evidence of an African/Black art. 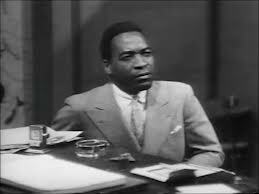 He also wrote a few plays: one of them, Un soir à Bamako (An evening in Bamako) was broadcasted in 1950. He passed away in 1960 after having starred in over hundreds of plays. Benglia was a versatile and prolific actor, who was confined to secondary and codified roles in colonial cinema, and as a result was largely ignored by critics. This was both the fate of many actors (particularly Black actors in his time), overshadowed by stars, and the result of prejudice and racism. Benglia’s roles were always very traditional. Colonial cinema, both as propaganda or exotic entertainment, made proficient use of his abilities. Originally a conveyor of stereotypes, this genre gradually evolved toward more truth and realism, but never gave Benglia the opportunity to rise to stardom. A few plays where Benglia held the main role was Dainah la Métisse, then Sola, and Les Mystères de Paris, as well as in les Enfants du Paradis.